Late in the six hour race, a caution period gave Leh Keen enough time to stop for gas and still finish the final two laps of the Sahlen's Six Hours of the Glen. This huge break allowed Davis and Leh Keen to secure a class victory for Brumos Racing. A first for the Jacksonville-based team in the Grand-Am Road Racing Series since it dropped its Daytona Prototype program to concentrate on a GT Class Porsche 911 GT3 Cup car. 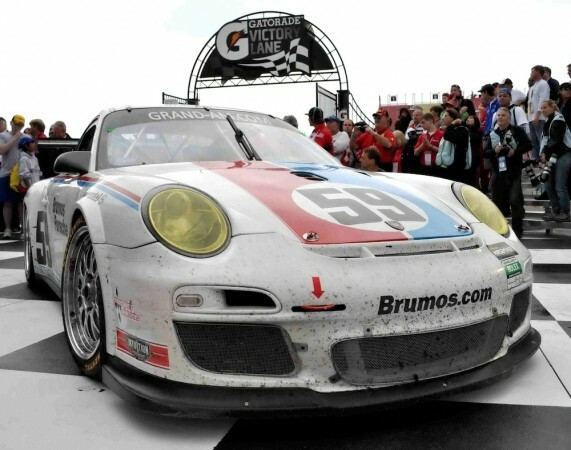 The last Brumos win at the Glen was in 2003, when David Donohue/Mike Bokowski/Scott Goodyear won the race in the DP Brumos Porsche Fabcar. The famed No. 59 red, white and blue Porsche was trying to maintain the GT lead by stretching a tank of gas for the final 52 minutes. But just as the caution flag waved in the final six minutes, the fuel pressure light started flashing. The second-place Chevrolet Camaro of Bill Lester, Jordan Taylor and Tommy Milner was two laps down, so Keen stopped for gas for the final two laps and still won by one lap. "That was a lot of fun," Keen said. "Brumos does it again. I love this place." The team didn't tell Keen he had a two-lap lead when they ordered him to pit road. He then got the news he was a lap ahead. "I knew that it was not going to make it on fuel without a stop," Davis said. "That last 30 minutes was nerve-racking." Finishing ahead of the bigger, faster prototypes in the DP class and finishing first in GT against the other tube-frame, specially-built GT cars. The Porsche 911 GT3 Cup car is constructed on the same assembly line as its 911 street car relatives, and is based on the street car chassis. "We won the race based on strategy, not on performance," Haywood said, "but Porsche tends to out-do more powerful cars the long the race is." 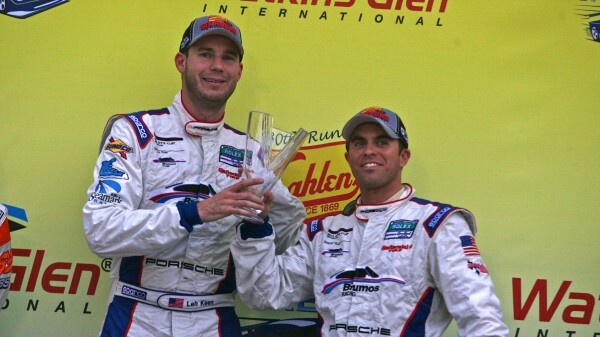 The win moved Keen and Davis to second place in the GT standings, just three points behind Lester and Jordan Taylor. "The classic endurance races are the 24 Hour of Daytona, the 12 Hours of Sebring, LeMans and Watkins Glen," Haywood said. "We started this new program off at Daytona pretty strong, but now we sort of got our act together. If we can keep the momentum going, I think we can give the guys a good chance to win the championship. We just keep chipping away." What Happens When You Lose Your Clutch Early on in a 24 Hour Race? Leh Keen was the driver at the end of the race when he had to come in for the splash not Andrew. Just wanted you to know the facts. From a member of the Brumos race team. Thank you!! Unfortunately, the press release from PCNA had the information incorrect. We greatly appreciate the information and will update the info immediately!! !